Happy New Year! (I hope it’s not too late to say it, as the year is almost two weeks old.) I do love the fresh start of a new year. 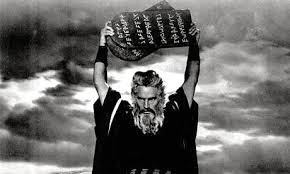 I’m a resolution maker, but as I get older, I’ve moved away from the one-through-ten list, set in stone, that I eventually break….kind of like Moses, without the facial hair. In recent years, my resolutions are less like ultimatums and more like intentions that nudge me in a certain direction. The thing that hasn’t changed is that I always have at least one that has to do with writing. This year, my writing resolution is to clean out my closets. Though I’m sure this is a good metaphor for something profound, I mean it literally. I’ve lived in my house for 13 ½ years. When we moved in, my older son wasn’t quite 1 ½, and now he is learning to drive…and please don’t get me started on how fast the time goes. I’m not a hoarder by any means, but my time in this house has given me ample opportunity to tuck things away on shelves and in corners. Lately I’ve been feeling that stuff making its presence known in subtle ways. I just seem to be more aware of it. I’ll see a box and realize I can’t remember what’s in there, and if that’s the case, how important can it be? Whether I consciously acknowledge it or not, this mental engagement with my stuff draws from my energy. Which brings me to my writing. It’s time to do some digging in the dusty corners with that, too—to reevaluate my pet projects in the revealing light of day and decide which ones to keep and which ones to toss in the recycle pile. By freeing up extra space—be it physical, mental, or emotional—in my life and my writing, I hope to make room for new opportunities to enter. (There’s a reason that ‘out with the old’ comes before ‘in with the new.’) Who knows, I might rediscover something that inspires me in a creative way. At the very least, I will feel good about thinning the brush in the wild reaches of my basement. How do you know when it’s time to clear some space for your writing? I'm always making space on my bookshelves. Unlike some people, I don't hoard books simply because I don't have the room. When I no longer need a book, I put it in a pile to be donated to the library, and when I'm in the neighborhood, I drop them off. As for my writing, I save everything I've written on my computer. However, when I recently bought a new computer, in the process of backing up files before transferring them from the old to the new system, I decided not to bother backing up a few poems because I didn't like them, didn't know what to do with them, and didn't think I could use them. This year, instead of making resolutions, I set goals, and you can read more about that on my blog at http://abbiescorner.wordpress.com. Happy writing and happy cleaning. I need to do this....and I've been saying that for about five years now. I hope you have better luck getting the job done than I have.